Larrakeyah Primary School assistant principal Rick Collister said: “The relationship that began in 2017 has strengthened since. During this time, five Larrakeyah Primary School teachers have visited Excelsior, including our principal Mrs Fathma Mauger and assistant principal Natasha Guse. Two weeks ago three Larrakeyah Primary School teachers visited Excelsior International School. Larrakeyah Primary School and Excelsior International School are recognised as Cambridge schools, and they have incorporated the Cambridge curriculum and testing. During August 2018, the Asian school was visited by 35 Larrakeyah Primary School students as part of the Year 6 International Study Tour. “Students had been communicating regularly via Skype and email, and gaining a greater understanding of how their counterparts lived, and what they learnt at school,” said Mr Collister. 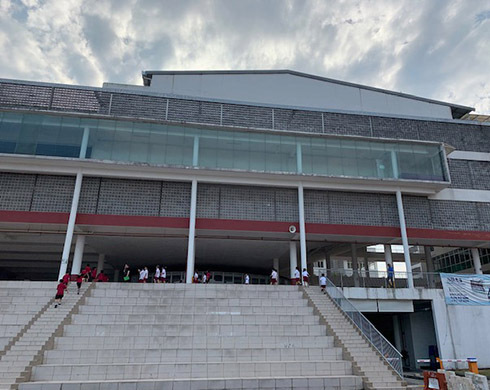 “Later this year our students will again visit Excelsior International School, but this time they will be more aware of who they will meet, and the background of their new friends in Johor Bahru.